Exclusive: Thelvnguage Takes It Nice and Slow with New Single "Lazy Baby"
We live in a world where time is money, jobs are stressful and demands are high. Too often we're concerned with jumping to the tune of our alarm clocks, chugging down our morning coffee, and speeding to work as cars honk over our blaring, cheap morning talk radio. For our NYC readers, it’s more to the tune of pushing ourselves into a crowded subway car that, for some reason, has no air conditioning. But hey, at least we get to work on time? Enough is enough. Thelvnguage wants to slow you down real easy and show you there’s more to life with their new single, “Lazy Baby”. Hailing from The Bronx, where many artists and bands are born, Thelvnguage consists of Rob Van Zandt (vox/guitar), Vinny Mannarino (drums) and Mike Stephens (guitar). 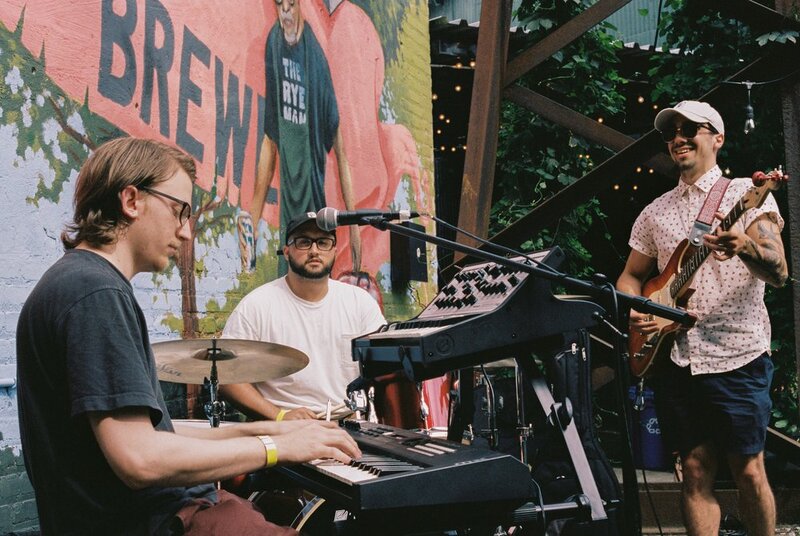 Initially forming as a music project between Rob and Mike, the grown, now self-proclaimed psych/jazz/funk trio, has conquered more than most. By gracing New York City stages the likes of Rockwood Music Hall, The Knitting Factory, and The Bitter End - not to mention the famous Bronx Brewery - Thelvnguage has hit top speed with no signs of ever slowing. down These guys have a tremendously unique sound and a smooth yet eclectic musical foundation built on the influences of R&B, rock and jazz. Above all, this experimental trio deserves the name they’ve made for themselves. Thelvnguage @ Rockwood Music Hall 9/15/18. Photo Credit Reserved. Thelvnguage @ The BronxBrewery 7/22/18. Photo Credits Reserved. 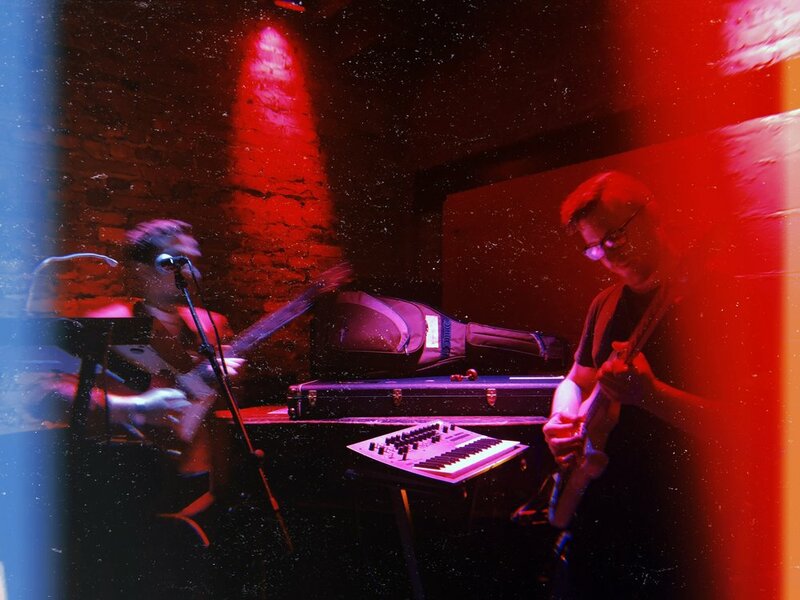 The new single, “Lazy Baby”, is a prime example of their evolving sound. A quick, sporadic, drum line hits the ears almost immediately only to soften into a wave of airy blues accompanied by a funky beat. Rob’s vocals flow onward with a tone slightly reminiscent of an early 50’s crooner that combines well over the soft and distorted guitar licks. It's easy to get carried away over this uncompromising indie/blues sound, and between you and I, I’ve had this track in heavy rotation over the past few days. With lines like, “Scrambling around at this pace I can’t control, and I’m tired…”, this track clearly wants you stop and take a breather. It’s good to be reminded to stop and smell the roses, and Rob couldn’t agree more, “The primary influence was honestly when I was in my old position and I was on my way into the city on the 5-train. I was just being my nihilistic self thinking, “Where in the world is everyone actually going? I’d bet like 95% of the people sitting here right now don’t want to move from their seats, it’s 7AM dude.” I’m right there with you, Rob, I know I never do. This world is crazy, and if you’re like us, everything starts to make sense once you pick a song and press play. Do yourself a favor and pick Thelvnguage to ease your next morning commute, or frankly, any time you need a quick getaway. This is a band your friends will obsess over; why not beat them to it? So from Thelvnguage to us, and now to you, take it easy, and don’t forget stop once in a while to breathe. “Lazy Baby” will be available 10/5/18 on all streaming platforms, but for now, here’s an exclusive listen on us.